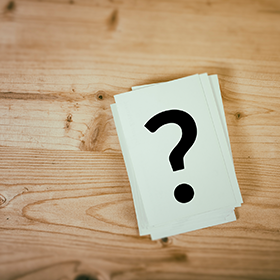 Q: If my IRA invests in a rental property, to what extent may I personally be involved in fixing up the property and finding a tenant or a buyer? A: You're fine as long as you don't do any work on the property and keep it "arms length". Hire a contractor to fix-up your property so you're not involved in any prohibited transactions. Q: What are the tax implications (taxable vs. tax-deferred) on property income and gain on sale when a loan is used to partially fund a property purchase? A: Taxation on income, gain from sale, and other income will only apply to the percentage used to purchase a property under your IRA. As an example, if you purchased a property worth $200k and used $100k from your IRA and $100k from a loan, your percentage split is 50/50. This means it would be 50% non-taxable and 50% taxable. The percentage will change as you pay down the principal on the loan. Q: I want to form an LLC using my Roth IRA, my husband's Roth IRA, and with at least one other cash investor. Can I go ahead and form the LLC and fund it now, so I can be ready to act when I find an investment property to buy? A: You can form the LLC now. Seek the assistance from your tax or legal advisor for the timing. Q: What are the options for funding unanticipated property repairs/improvements, if remaining liquid funds in the IRA are insufficient for those costs? A: For additional funds to use for IRA investment expenses, IRA holders may make an additional contribution (if they are eligible), transfer from other IRAs, or direct rollover from previous employer plans. Q: I would like to purchase a single family home for rental purposes with my self-directed IRA. The purchase price is $480k, and I would like to use $280k from my IRA to purchase it, and put $200k cash into the property. Can I do this, and how would it work? A: You may partner with yourself, but it is not advisable. It is much safer to partner with someone else who is not a disqualified person. Or you can get a non-recourse loan to avoid violating the prohibited transaction rules. Remember when partnering is used with your IRA, all income, expenses, gains and losses are proportionately allocated to each partner based on their percentage of ownership. Q: I'm 70 ½ and currently own real estate in my IRA. I need to start taking RMDs, but the property continues to appreciate and my RMDs will start increasing. At what point do I need to sell the investment to satisfy the RMDs, or should I pay the taxes and close the IRA? A: This is all up to you, and technically this is a tax advisor question. Remember you have the option of just paying the RMD penalty of 50% instead of distributing the RMD from the IRA. You will need to consider and compare the Federal Tax, State Tax and processing fees for the distribution with the amount you are distributing. You will need to determine whether is it worth distributing the RMD or just pay the 50% penalty. Q: For promissory notes and tax liens, does Entrust or the individual locate the actual investments? A: Entrust does not endorse, locate, or sell any investment. It is up to you, the retirement plan owner, to seek and do your own due diligence on every investment. Q: If you take money out of your IRA (dividend, etc. ), do you pay a penalty (below 59 ½ years old), or just taxes? A: If you have a Traditional IRA, any distribution of dollars that have not been taxed will be subject to tax and possible penalties. If it’s a Roth, it will depend on whether if your distribution is Qualified or non-qualified. If its non-qualified, it will depend on whether you are distributing contributions, conversions or earnings. Q: Can a real estate agent sell a property in their self-directed IRA? A: It is not advisable to sell a property inside your IRA to avoid self-dealing and conflict of interest, especially when it comes to getting paid commissions. Q: Can I pay for a forming LLC to obtain "Checkbook Control" or does fee have to be paid by IRA? A: The LLC formed with the intent of the IRA investing in it and funding it, is not part of the IRA until the IRA funds it. Therefore, when you set up fees for the LLC, it does not have to come from the IRA. Keep in mind, it’s not the IRA setting up the LLC -- the IRA is merely investing in the LLC. Q: If I invest in a self-directed IRA investment property, can I still write off repairs and other expenses on my taxes? A: No. Since it’s the IRA that owns the investment property and not you personally, IRA expenses are not deductible on your own personal tax return. Thank you to everyone who participated in our national webinar. We encourage our readers to post any additional questions regarding self-directed IRAs or retirement planning in the comments section below. You can view the full recording of this webinar here to get answers to questions which are not listed in this article.